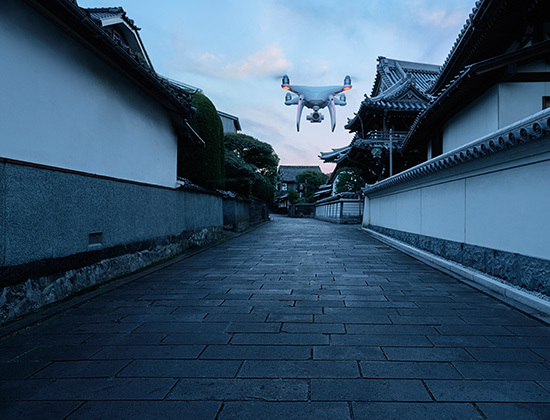 Capture epic aerial photography in eye-popping HD, or even 4K Ultra HD with a ready-to-fly camera drone from DJI. Shoot videos and photos that you can edit and share online, or stream directly for broadcasting. 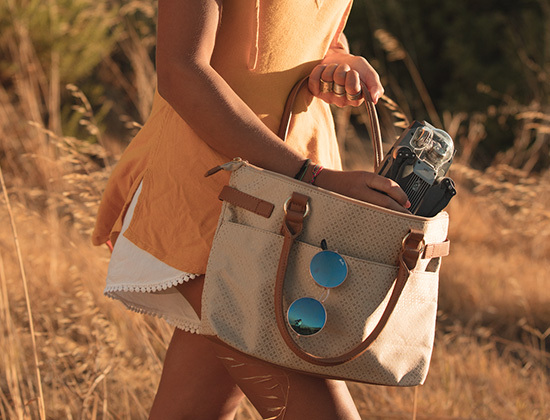 Plus, find the accessories that will take you to new heights, and a compact camera stabilization system that goes anywhere. Osmo Pocket makes it simple and fun to record your life. Osmo Pocket is the smallest 3-axis stabilized handheld camera DJI has ever designed. Weighing just 116 grams, and featuring a convenient touchscreen, Osmo Pocket can be controlled easily with a single hand. Snap stunning still photos or capture 4K/60 fps video at 100 Mbps. The key to Osmo Pocket is its finger-sized 3-axis mechanical gimbal which precisely adjusts camera movements in real time to create smooth shots and eliminate shaky footage once and for all. The Mavic 2 is DJI's ultimate gift to the world of aerial photography and comes in two editions: Mavic 2 Pro and Mavic 2 Zoom. The Mavic 2 Pro shoots stunning, extremely detailed aerial photos via the Hasselblad L1D-20C camera. The Mavic 2 Zoom sports a 2x optical zoom lens so you can get creative and capture everything from wide-angle to mid-range shots. Adventure unfolds with the Mavic Air. This ultraportable, foldable drone showcases the best aspects of the Mavic series. With its 3-axis gimbal camera, this drone shoots 4K video at 30 fps, as well as 360-degree pictures using sphere panoramic mode. As tall and wide as a smartphone when folded, the Mavic Air pushes the limits of what is possible. Seize the moment and push your creative boundaries with this mini drone that features intelligent flight controls, a mechanical gimbal, and a camera with incredible image quality. Take amazing aerial photos using simple hand gestures, without a remote controller or mobile device. QuickShots help you shoot amazing footage with cinematic composition. Make the sky your creative canvas with this small and powerful drone that shoots in amazing 4K Ultra HD. With an easily transportable folding body, the Mavic Pro is perfect when you need the power of a professional camera drone while on the go. Great for beginners, you can control it from your smartphone and use the Tapfly feature to direct the drone where to go without cumbersome joystick controls. The camera pivots for easier use taking selfies and portraits. With an upgraded camera from its predecessor the Phantom 4, this drone takes stunning photographs and 4K Ultra HD video. Its 24mm lens and larger 1-inch camera sensor makes this drone ideal for landscape photography. Fly with confidence as the upgraded five-point avoidance system will help you keep your drone safe from obstacles and crashes. 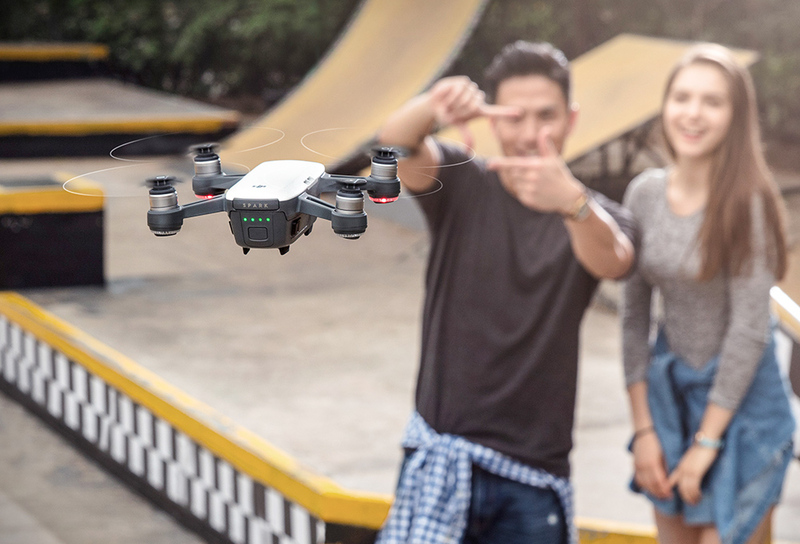 Powered by a DJI flight control system and an Intel processor, Tello is small, smart, and easy to take anywhere. It features two antennas that make video transmission extra stable. And, a high-capacity battery offers impressively long flight times. Tello is programmable with Scratch, an MIT-developed coding system that allows kids, teens, and even adults to learn the basics of coding while having fun. Plus, you can perform awesome tricks with just a tap on screen. Flying has never been so fun and easy. 0.66 lbs. 0.95 lbs. 1.64 lbs. 2 lbs. 2 lbs. 3.03 lbs. H 2.2" x W 5.6" x L 5.6" H 1.9" x W 3.2" x L 6.6" H 3.3" x W 3.3" x L 7.8" H 3.3" x W 3.6" x L 8.4" H 3.3" x W 3.6" x L 8.4" H 7.7" x W 13.7" x L 13.7"
*With use of DJI Spark remote. when you use your My Best Buy® Credit Card.